Margaret McGlew Johnson grew up in Massachusetts in a typical Irish-American family. Both sets of grandparents and great-grandparents were born in Ireland, so talk and tastes of “the old country” always played a major role in her life. She finally visited in 1984 and was, as she admits, “beyond smitten.” From that year forward, the former English/Journalism teacher decided that her love of cooking and her passion for Ireland would be her life’s work. 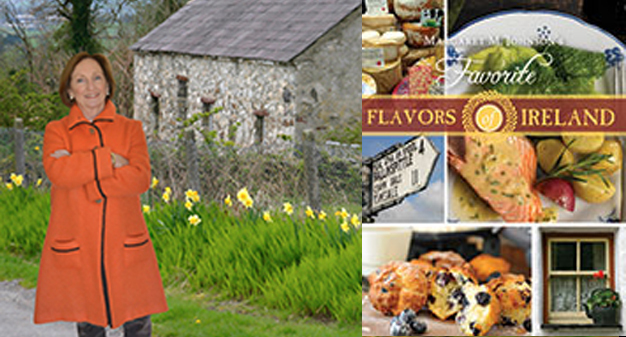 Margaret is the author of 11 cookbooks — Favorite Flavors of Ireland (2015); Christmas Flavors of Ireland (2013; Flavors of Ireland (2012); Tea & Crumpets (2009); The Irish Pub Cookbook (2006); The Irish Spirit (2005); Puddings, Tarts, Crumbles, and Fools (2004); The New Irish Table (2003); The Irish Heritage Cookbook (1999); Cooking With Irish Spirits (1995); and Ireland: Grand Places & Glorious Food (1992). 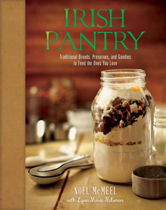 During her transition from the classroom to the publishing world, she also contributed food and travel articles to publications in both the U.S. and Ireland, including Intermezzo Magazine; Cooking Light; Cara, the inflight magazine of Aer Lingus; Dublin’s Food & Wine Magazine; Irish Echo newspaper; and irishabroad.com. She frequently appears at Irish food and cultural events, and when she’s not visiting her ancestral home in Ireland, she lives in Westhampton Beach, NY.